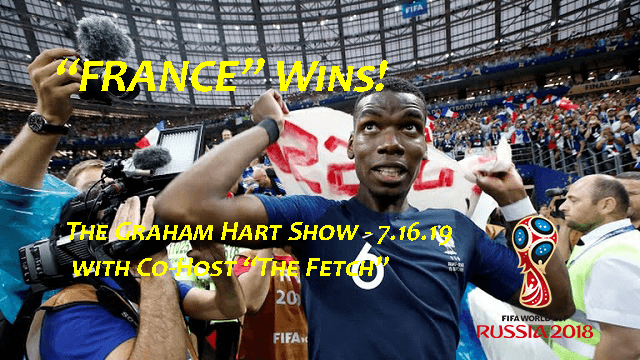 The Fetch Co-Hosts "The Graham Hart Show" – 7.16.18 | Inside the Eye - Live! 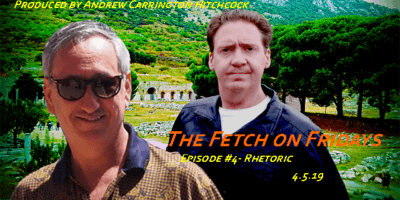 “The Fetch” co-hosted the Graham Hart Show with Graham Hart on Monday, July 16, 2018. Joining Graham and Fetch were Karin Smith from Radio Free South Africa, who came on to discuss the latest developments in S. Africa, and Paul English, host of Fake News Now on Eurofolk Radio. Secession in South Africa through the creation of the Sovereign State of Good Hope was the focus of Karin Smith’s appearance as she discussed the latest efforts by the largely Afrikaaner White and Colored regions of the Western Cape to secede from the Communist dominated S. Africa run by African National Congress. The project, years in the making, revolves around largely Afrikaaners working with Goab (King) Khoebaha Calvin Cornelius III. Goab Khoebaha’s tribe is the recognized rightful indigenous peoples of the land that is hoped to become the “Sovereign State of Good Hope”. The region declared independence in September of 2017, saw the secessionist drive pick up in intensity this past March 18, and then on July 12, saw the Sovereign State of Good Hope serve the S. African government in Praetoria an eviction notice to quit their secondary parliamentary space in Cape Town. The event is getting virtually no press coverage, so this interview segment is one of the few reports coming from inside the S. Africa and the secessionist movement. The balance of the show largely revolved around a discussion of the World Cup as a means for hostile elites to push their “multicultural social engineering” through an appeal to people’s natural tendency to support “their nation” combined with a natural desire for people to want to root for (be invested in) victory for “their team”. That “national teams” no longer have a national flavor is increasingly becoming obvious as people shift from being totally brain dead (unaware of the genocidal efforts targeting Western civilization) to those having an increasing awareness that “something isn’t right”, although they are not yet able to begin connecting dots to reach a lucid conclusion regarding. It remains hard to hide the fact that France was not a truly “French” team: 19 of the 23 players sent to Russia were not French, but rather players pulled from the multicultural morass that is France. Events as the World Cup provide nationalists the ability to educate and push a counter narrative to absolute cultural capitulation as pushed by the social engineers working largely from the shadows. Quite an interesting conversation and well worth the listen.